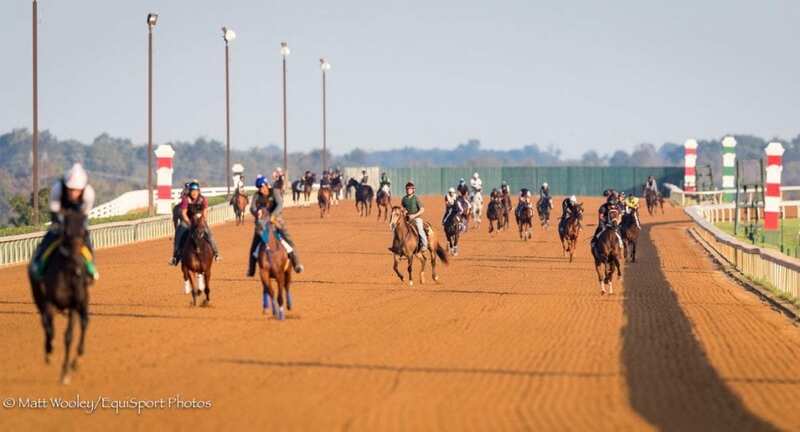 Equibase Company, in partnership with Keeneland and at the request of the Kentucky Horse Racing Commission, conducted a test at the Lexington, Ky., track to collect workout data using global positioning satellite (GPS) technology, it was announced Wednesday. Equibase currently has GPS systems at Woodbine Racetrack, Golden Gate Fields, Laurel Park, and Pimlico, and is the official timer at those tracks. Equibase's GPS technology partner, Total Performance Data, is based in the United Kingdom and has more than a dozen tracking systems deployed there. This entry was posted in NL Article, The Biz and tagged Bill Thomason, equibase, GPS, Jason Wilson, Keeneland, The Jockey Club, thoroughbred racing associations of north america, workout data, workouts by Press Release. Bookmark the permalink.